The Florida show advertises itself as the “Largest RV show in the Country.” It is held at the Florida State Fairgrounds, covers 26 acres and will have over 1400 RV s on display. 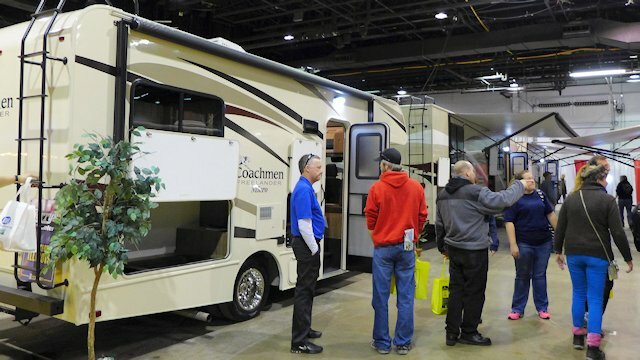 In addition to huge variety of Recreational Vehicles (from small travel trailers to huge luxury motor coaches) to tour, there’s a schedule of six different seminars held each day of the show covering topics from “RV Maintenance” to “Exploring America” to “Tips on Choosing the Right RV.” For camping, the Super Rally onsite camping package sells out quickly, but dry camping still is available at the Fairgrounds. Otherwise camping is available at privately operated campgrounds in the Tampa area. But the Quartzsite show tries to do them one better and claims they host the “World’s Largest Gathering of RVers in the World.” As their byline suggests, Quartzsite is essentially a massive RV Rally that also hosts a large RV Show. In addition to nearby full service campgrounds, adjacent to the show grounds are dry camping on the Bureau of Land Management campground. Unlike the Florida show, Quartzsite charges no fee for admission nor for parking. At this date, probably most of the full service campgrounds would be filled, so if you plan on going in your RV, plan on dry camping. 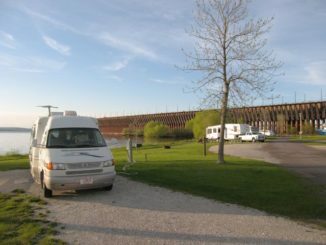 There’s a third RV Show/Event that also claims to be America’s Largest RV Show – that’s the Hershey PRVCA show held at the Giant Center in Hershey, PA. They claim to offer over 1300 RVs on display from over 45 manufacturers. This event is held in the fall so if you missed one of the big spring shows, it would be the one to catch later in the year. 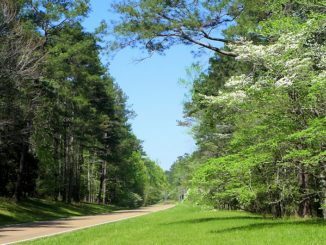 For camping, there is some limited onsite overnight camping, but most camping will have to be at public and private campgrounds in the area. 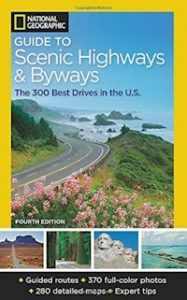 If you can’t make any of these three shows, there are a few other regional shows offering a decent array of RVs, among them being the 51st Annual Chicago RV & Camping Show held Feb 7 – 10th in Rosemont, Illinois. 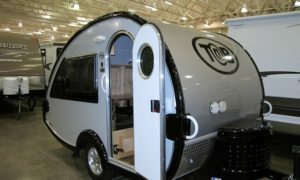 They advertise 400 Rvs on display and claim to be the Midwest’s Largest RV Show. We attended the Chicago RV Show (see our article here) in 2016 and again attended the 2017 Chicago RV Show. It is a big show but we need to remember to bring a compass with us. The show is in multiple rooms with odd-shaped dimensions so it is very easy to lose your sense of direction. Here’s our list of what we believe will be the larger RV shows occurring this year, plus a link to the Recreational Vehicle Industry Association calendar of all RV shows for 2018. 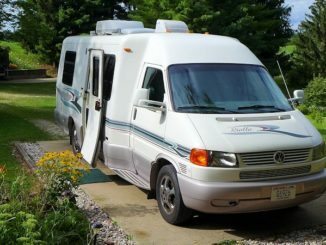 RV Traveling, Buying & Selling, and Maintaining your RV. For a complete calendar of Recreational Vehicle Shows see the RVIA Directory of RV Shows. There is one more major RV Show in 2018 in Hershey, PA in September. I’ll bite, what is dry camping?